The NCMF wishes to congratulate Foundation board member Dr. Whitfield Diffie as he has been selected (2017) to join The Royal Society. The Royal Society is a Fellowship of many of the world's most eminent scientists and is the oldest scientific academy in continuous existence. We are honored to have Dr. Diffie serving on the NCMF Board of Directors and wish him continued success, as well as many future awards and accomplishments! Dr. Whitfield Diffie is best known for discovering the concept of public key cryptography, which underlies the security of internet commerce and all modern secure communication systems. He is a Consulting Scholar in the Center for International Security and Cooperation at Stanford and a Visiting Professor at Royal Holloway College of the University of London. After leaving Stanford University in the late 1970s, he became Manager of Secure Systems Research for Bell-Northern Research, the laboratory of the Canadian telephone system. In 1991, he moved to Sun Microsystems, rising to be Vice-President, Sun Fellow, and Chief Security Officer until 2009. 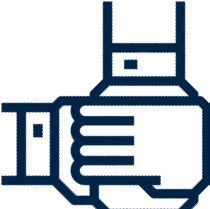 Since leaving Sun, he has worked primarily as an advisor to innovative startups in the security field. Diffie received the 2015 Turing Award and in 2017 was elected to the National Academy of Engineering. Since 1993, much of Diffie's attention has been focused on public policy, in the areas of cryptography, security, and privacy. His position --- in opposition to limitations on the business and personal use of cryptography --- has been the subject of articles in the New York Times Magazine, Wired, and Discover and programs on CNN, the Discovery Channel, and Equinox TV. 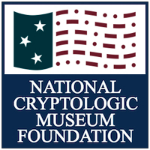 View the Cryptologic Bytes Archives via the "Return to List" link below.